OverviewThe LEGO series continues, finishing out young Harry Potter's magical saga in LEGO Harry Potter: Years 5-7. Now you can add videos, screenshots, or other images (cover scans, disc scans, etc.) for LEGO Harry Potter - Years 5-7 (Europe) to Emuparadise. Do it now! If you haven't noticed yet, we have a retro game of the day feature (top-right of the screen) wherein we feature a new retro title every single day! Now, you can vote for your favorite games and allow them to have their moment of glory. 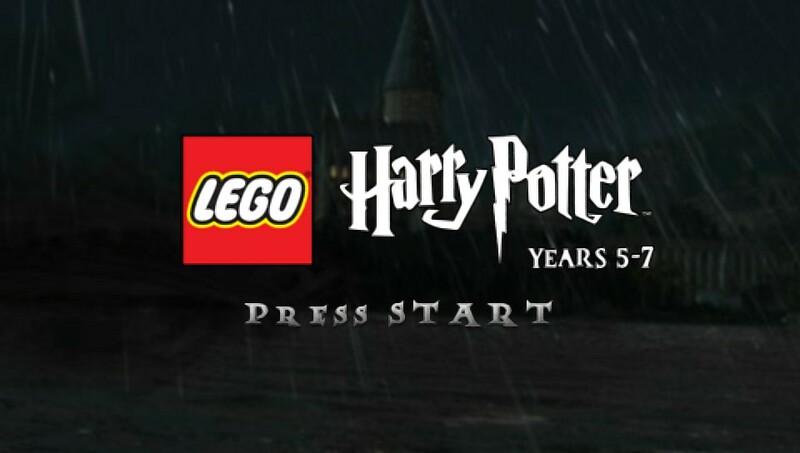 Click on the button below to nominate LEGO Harry Potter - Years 5-7 (Europe) for Retro Game of the Day. .::::::::::::::::::::::::::::::::::::::::::::::::::::::::::::::::::::::::::. .::::::::::::::::::::::::::::::::::::::::::::::::::::::::::::::::::::::::::::. .::::::::::::::::::::::::::::::::::::::::::::::::::::::::::::::::::::::::::::. .::::::::::::::::::::::::::::::::::::::::::::::::::::::::::::::::::::::::::::. .::::::::::-.......................................................::::::::::. . :::::::::` ````` `:::::::::. .::::::::: `.-:::::::::-.` :::::::::. .::::::::: `-:::::::::::::---:-` :::::::::. .::::::::: `-::::::::::::-. `--` :::::::::. .::::::::: . ::::::::::::::` `::` :::::::::. .::::::::: `:::::::::::::::` -::` :::::::::. .::::::::: -:::::::::::::::-` `-:::- :::::::::. .::::::::: `::::::::::::::::::--.--::::::` :::::::::. .::::::::: `:::::::::::::::::::::::::::::` :::::::::. .::::::::: `::::::::::::::::::::::::::::- :::::::::. .::::::::: .:::::::::::::::::::::::::::. :::::::::. .::::::::: -:::::::::::::::::::::::::. :::::::::. .::::::::: .:::::::::::::::::::::::. :::::::::. .::::::::: `-::::::::::::::::::-. :::::::::. .::::::::: `::::::::::::::::-.` :::::::::. .::::::::: . ::::::::......`` :::::::::. .::::::::: -::::::::. :::::::::. .::::::::: `-:::::::-` :::::::::. .::::::::: `::::::::- :::::::::. .::::::::: .::::::::. :::::::::. .::::::::: -::::::::. :::::::::. .:::::::::`````````````````-::::::::.```` :::::::::. .:::::::::::::::::::::::::::::::::::::::::.` :::::::::. .:::::::::::::::::::::--::::::::::::::::::::-` :::::::::. .::::::::::::::::::::``-::::::::.:::::::::::::-. :::::::::. .:::::::::::::::::::- . ::::::::``::::::::::::::::.` :::::::::. .::::::::::::::::::::-..........:::::::::::::::::::-. :::::::::. .::::::::::::::::::::::::::::::::::::::::::::::::::::-.` `:::::::::. .:::::::::::::::::::::::::::::::::::::::::::::::::::::::-.........-::::::::::. .::::::::::::::::::::::::::::::::::::::::::::::::::::::::::::::::::::::::::::. .::::::::::::::::::::::::::::::::::::::::::::::::::::::::::::::::::::::::::::. .::::::::::::::::::::::::::::::::::::::::::::::::::::::::::::::::::::::::::::. . : __________.____ _____ _____.___. _____ _________.__ _____ ::::. .: \______ \ | / _ \\__ | | / _ \ / _____/|__| / _ \ :::. .:: | ___/ | / /_\ \/ | |/ /_\ \ \_____ \ | |/ /_\ \ ::. .:: | | | |___/ | \____ / | \/ \| / | \ :. .:: |____| |_______ \____|__ / ______\____|__ /_______ /|__\____|__ / :. .:: \/ \/\/ \/ \/ \/ ::. .::::::::::::::::::::..:::::::....::::::::::::::..::::::::..::::::::::::..:::. .::::::::::::::::::::::::::::::::::::::::::::::::::::::::::::::::::::::::::::. .::::::::::::::::::::::::::::::::::::::::::::::::::::::::::::::::::::::::::. .::::::::::::::::::::::::::::::::::::::::::::::::::::::::::::::::::::::::::::. . 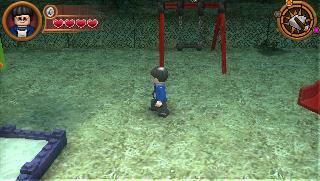 :: ::. .:: LEGO Harry Potter: Years 5-7 (c) Warner Bros ::. .:: ::. .::::::::::::::::::::::::::::::::::::::::::::::::::::::::::::::::::::::::::. .::::::::::::::::::::::::::::::::::::::::::::::::::::::::::::::::::::::::::::. . :: ::. .:: Region.........: Europe Languages.....: EN/PL/RU ::. .:: Platform.......: PSP Format........: .ISO ::. .:: Filename.......: pa-harry57. Size..........: 61 x 20 mb ::. .:: Disc Serial....: ULES-01558 CRC32.........: 05190BB2 ::. .:: ::. .::::::::::::::::::::::::::::::::::::::::::::::::::::::::::::::::::::::::::. .::::::::::::::::::::::::::::::::::::::::::::::::::::::::::::::::::::::::::::. . :: ::. .:: ::. .:: LEGO Harry Potter: Years 5-7 builds upon the magical ::. .:: gameplay, lessons and potion-making skills learned in ::. .:: LEGO Harry Potter: Years 1-4 to equip gamers with the ::. .:: tools necessary to challenge a host of new foes and some ::. .:: familiar ones. The game is action-packed from start to ::. .:: finish, including loads of new lessons, spells, and bonus ::. .:: content for hours of family friendly gaming. ::. .:: ::. .:: ::. .::::::::::::::::::::::::::::::::::::::::::::::::::::::::::::::::::::::::::. .::::::::::::::::::::::::::::::::::::::::::::::::::::::::::::::::::::::::::::. . :: ::. .:: ::. .:: * List of Undumped Playstation Portable PSN Games * ::. .:: ::. .:: We are currently looking for suppliers of PSP PSN content. ::. .:: playasia@hush.ai ::. .:: ::. .:: ::. .:: EUR (Minis): ::. .:: ::. .:: - 5 In 1 Solitaire ::. .:: - Age of Hammer Wars ::. .:: - Arcade Essentials Evolution ::. .:: - Best of Solitaire ::. .:: - Car Jack's Street ::. .:: - Caterpillar ::. .:: - Epyx's Mission Impossible ::. .:: - Forest Puzzle ::. .:: - Future Fight ::. .:: - Hello Flowerz ::. .:: - HISTORY Egypt Engineering An Empire ::. .:: - Left to Die in Zombhai ::. .:: - Ikari Warriors ::. .:: - MENA Speed ::. .:: - Mots Croises (French) ::. .:: - PAC-MAN Championship Edition (French) ::. .:: - PAC-MAN Championship Edition (Italian) ::. .:: - PAC-MAN Championship Edition (Spanish) ::. .:: - Pallurikio ::. .:: - Panda Craze ::. .:: - Rasmus Klump and the Big Maze (Denmark) ::. .:: - Rasmus Klump in Pingonesien (Denmark) ::. .:: - Rasmus Klump is Saving the Chickens (Denmark) ::. .:: - Sasuke vs. Commander ::. .:: - Super Fruitfall ::. .:: - Tiny Hawk ::. .:: - Zombie Tycoon (French) ::. .:: ::. .:: ::. .:: EUR (PSN Exclusives): ::. .:: ::. .:: - Alpha Mission II (NeoGeo) ::. .:: - Art of Fighting (NeoGeo) ::. .:: - Baseball Stars Professional (NeoGeo) ::. .:: - Bejeweled 2 ::. .:: - Castle Rustle ::. .:: - ClaDun x2 ::. .:: - Corpse Party ::. .:: - Crystal Mines ::. .:: - Fatal Fury (NeoGeo) ::. .:: - flOw ::. .:: - Go! Puzzle ::. .:: - Gravity Crash Portable ::. .:: - Groovin' Blocks ::. .:: - Hoard ::. .:: - League Bowling (NeoGeo) ::. .:: - Legends of War: Patton's Campaign ::. .:: - Magician Lord (NeoGeo) ::. .:: - Metal Slug (NeoGeo) ::. .:: - NeoGeo Heroes Ultimate Shooting ::. .:: - No Heroes Allowed! ::. .:: - Peggle ::. .:: - Samurai Shodown (NeoGeo) ::. .:: - Super Sidekicks (NeoGeo) ::. .:: - Syphon Filter: Combat Ops ::. .:: - The King of Fighters '94 (NeoGeo) ::. .:: - The Red Star ::. .:: - TNT Racers ::. .:: - Voodoo Dice ::. .:: - Zuma ::. .:: ::. .:: ::. .:: USA (Minis): ::. .:: ::. .:: - SHIFT extended ::. .:: ::. .:: ::. .:: JPN (PSN Exclusives): ::. .:: ::. .:: - Baseball Stars 2 (NeoGeo) ::. .:: - Boku wa Kimi Dake wo Mitsumeru ::. .:: - Bunny Dodge ::. .:: - Fading Shadows ::. .:: - Fushigi no Kuni no Bouken Sakaba Portable ::. .:: - Ginsei Tsumeshogi Portable ::. .:: - Maid Paradise Mezase! Maid Number One! ::. .:: - Metal Slug 2 (NeoGeo) ::. .:: - Misshitsu no Sacrifice Miki: High Tension Night ::. .:: - Shock Troopers (NeoGeo) ::. .:: - Tantei Opera Milky Holmes 1.5 Dai-1-Wa ::. .:: - Tantei Opera Milky Holmes 1.5 Dai-2-Wa ::. .:: - Tantei Opera Milky Holmes 1.5 Dai-3-Wa ::. .:: - Tantei Opera Milky Holmes 1.5 Dai-4-Wa ::. .:: - Tantei Opera Milky Holmes 1.5 Dai-5-Wa ::. .:: - Taisen Obake ::. .:: - The King of Fighters '95 (NeoGeo) ::. .:: - The King of Fighters '96 (NeoGeo) ::. .:: - Urbanix ::. .:: - World Heroes (NeoGeo) ::. .:: * undumped PCEngine titles: www.hudson.jp/pcea/jpn/title.html ::. .:: ::. .:: ::. .::::::::::::::::::::::::::::::::::::::::::::::::::::::::::::::::::::::::::. .::::::::::::::::::::::::::::::::::::::::::::::::::::::::::::::::::::::::::::. . :: ::. .:: ::. .:: - deest remedii locus, ubi, quae vitia fuerunt, mores fiunt - ::. .:: ::. .:: ::. .::::::::::::::::::::::::::::::::::::::::::::::::::::::::::::::::::::::::::. . ::::::::::::::::::::::::::::::::::::::::::::::::::::::::::::::::::::::::::.